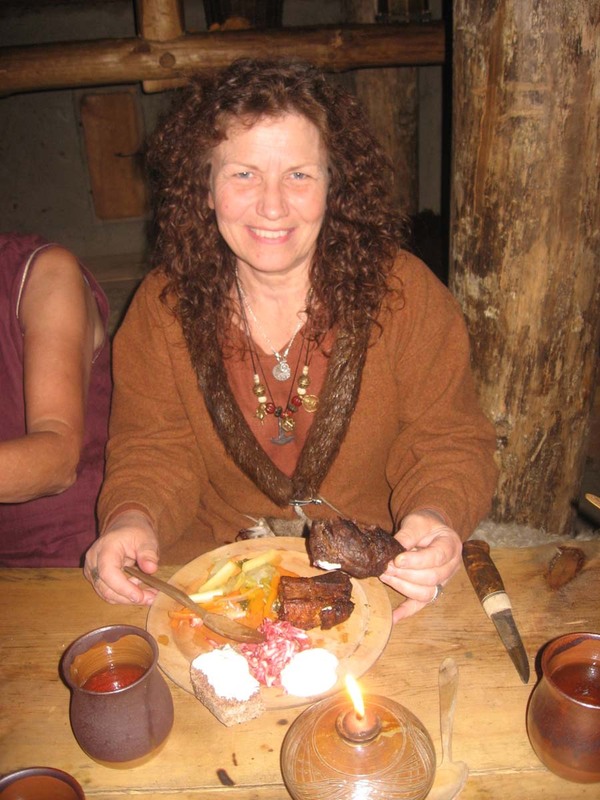 Welcome to the Viking village in Årsunda to experience a great feast the way it was done a thousand years ago! An evening where strength and wisdom is tested, where food and beverages are consumed around the tables in the Viking chief’s hall. The sparkling fire creates a warm and calm atmosphere. All this while the eyes of the Gods and forefathers are watching. 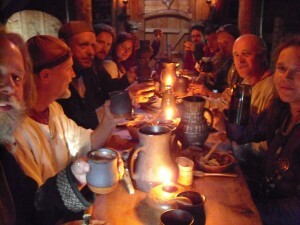 We offer historical Viking-style feasts for companies or private groups. Whether it’s a conference, bachelor party or a wedding, we can provide that special experience and feeling that you’ll only find at a real Viking village! Begin the evening with games or handicrafts to build an apetite. Honour and prestige is what the competing clans strive to attain. Here you will see who are the real Vikings! You will then satisfy hunger and thirst in the hall in the longhouse, in an unique and fascinating environment. Choose if you like one, two or three dishes. Drink beer, wine or non-alcoholic beverages with the food. A feast at the Viking village of Årsjögård is a journey back to the 10th century where you will see, feel, taste, hear and smell the Viking Age. Modern things like cell phones and coffee do not exist! We use history and archaeology to create as unique an experience as possible without modern elements. All this to create a special atmosphere and supply you with knowledge and wisdom. We also have a little shop where we sell souvenirs such as jewellery, books, pottery and blacksmithery. We accept credit cards and cash. Lowest number of guests: 15. Highest number: 60. Does an historical experience for all senses sound interesting? Contact us to book a feast or for more information! We mainly do feasts from April to November.